"This pic of me was taken by one of the crew back stage at one of The Cult US shows in May 1987. 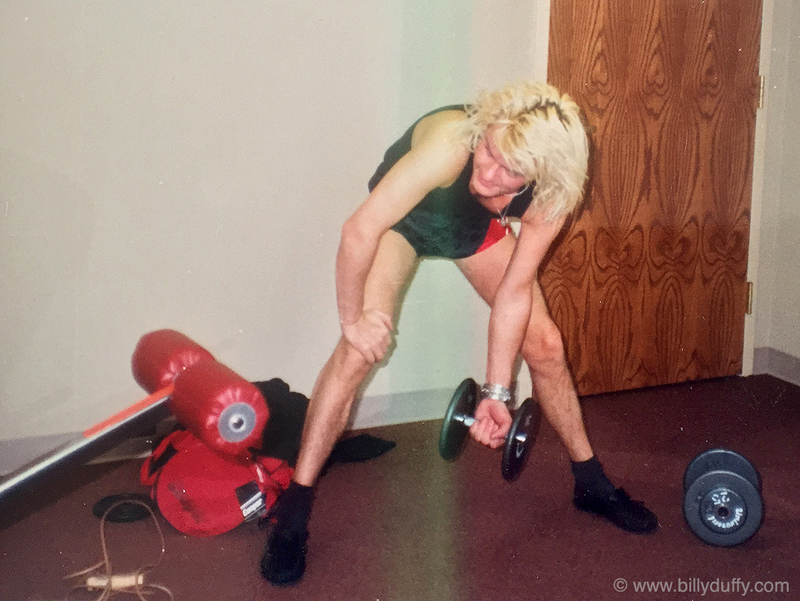 It had occurred to me that I had arms that looked like chickens legs once I started to wear sleeveless shirts around the 'Electric World Tour' period so in order to ‘man up’ my arms I started to lift a few weights. I also was trying to keep fit in general as I was (erm) having quite the time of it in the rock n roll festivities department... I knew I had to do something healthy if I wanted to last the course! Oh and yes my legs do look like bits of knotted string too hahahaha... I had what I call rock n roll legs... look great onstage in leather trousers... not so good in shorts!!!"